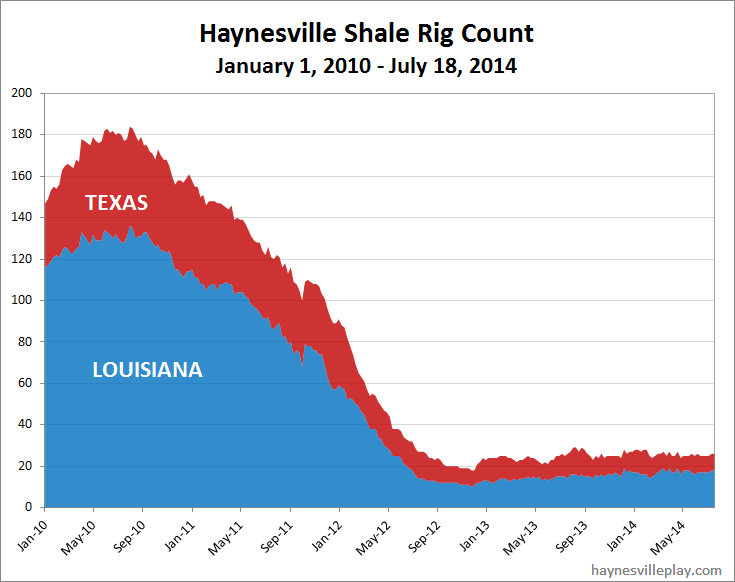 The Haynesville Shale rig count didn't budge last week, holding at 26. Louisiana stayed at 18 and Texas held at eight. Sure, there were some rigs moving around, but net-net, nothing changed.